A concordat is a legal agreement – often characterized as a treaty – between the Vatican under the Roman Catholic Pope and a sovereign nation-state. Concordats date back to the early middle ages and continue in some localities till the present day (2011). Typically the concordat is formally approved and signed by the Head of State and/or the Legislature. Though ostensibly confined sometimes to “religious matters“, in reality concordats have often been very political in nature, depriving citizens of freedoms that have come to be regarded as fundamental human rights in present-day society. To the modern mind the idea of a Concordat having any kind of binding force might seem implausible or even impossible. We might be tempted to think that a nation-state can do whatever it wants within its own borders. That’s true but in nations with very large Roman Catholic populations, the government can be strongly influenced by this one large group. So although, in theory, the government could repudiate the concordat at any time, in practice the pressure from a large Roman Catholic population can be so great that the government’s ability to stay in power depends on the support of this powerful segment of the population. The first century of Ecuador’s History as an independent nation-state (1830-1930) was overwhelmingly influenced by the Ecuador Concordat of 1862. 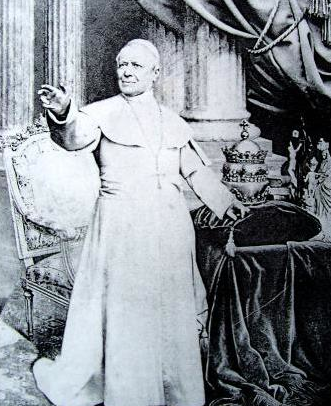 This Concordat was drawn up through the unrelenting efforts of Ecuadorian President Gabriel Garcia Moreno in collaboration with Pope Pius IX. It would remain an issue until its abolition at the turn of the century and it would leave its stain on the political life of Ecuador well into the 20th century at least …indeed, it could easily be argued that it has affected Ecuadorian political life until the present day. Dr. Francisco X. Martinez – as one of the five members of President Eloy Alfaro‘s Cabinet – was actively involved in the effort to rid Ecuadorian society of this Concordat that had been the cause of so much disruption, strife, oppression and bloodshed in Ecuador. Ultimately, President Alfaro was killed in truly barbaric circumstances by some of the same fanatical elements in Ecuadorian society that had originally supported the introduction of the Concordat but his name lives on in Ecuador today symbolizing the inalienable Human Rights to which every Ecuadorian is entitled. This tragic event – known in Ecuadorian history as “The dragging of Eloy Alfaro” impacted Francisco Martinez and his family and descendants – and indeed it impacted all Ecuadorians. We have the full text of the Concordat itself is available here along with a discussion of the serious Human Rights issues it raised. For more information on concordats see the very informative Concordat Watch Website. This entry was posted in Church and State. Bookmark the permalink.